Any student with an active UW NetID can attend FREE software workshops from STS. 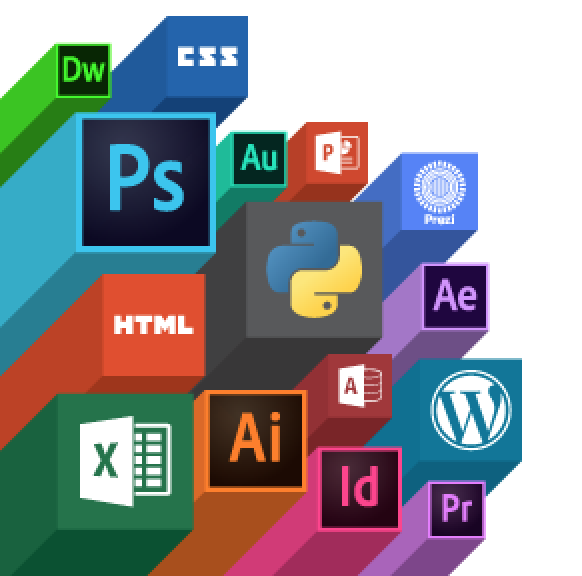 We offer a wide range of 2-4 hour workshops on software tools like Photoshop, Excel, HTML, Python, and more. View all upcoming classes and register through the training calendar or browse our current workshop topics below. If you can’t find what you’re looking for, you can set up an Ask a Trainer appointment, and one of our trainers will walk you through the skills you need. Still have unanswered questions? You can reach us either by phone (608) 265-6624, or through email at sts@doit.wisc.edu.